ATM is regarded as the next high speed multimedia networking paradigm. Mobile computing, which is a confluence of mobile communications, computing and networks, is changing the way people work. Wireless ATM combines wireless and ATM technologies to provide mobility support and multimedia services to mobile users. Wireless ATM and Ad-Hoc Networks: Protocols and Architectures, a consolidated reference work, presents the state of the art in wireless ATM technology. It encompasses the protocol and architectural aspects of Wireless ATM networks. The topics covered in this book include: mobile communications and computing, fundamentals of ATM and Wireless ATM, mobile routing and switch discovery, handover protocol design and implementation, mobile quality of service, unifying handover strategy for both unicast and multicast mobile connections, and roaming between Wireless ATM LANs. 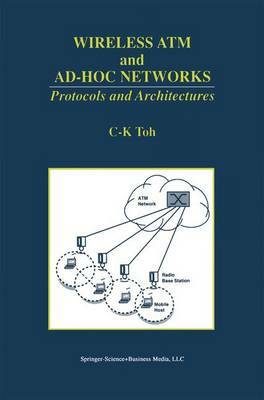 A novel routing protocol for ad-hoc mobile networks (also known as Cambridge Ad-hoc) is also presented in this book along with information about ETSI HIPERLAN, the RACE Mobile Broadband System, and SUPERNET. This timely book is a valuable reference source for researchers, scientists, consultants, engineers, professors and graduate students working in this new and exciting field.